Ruthiebear (Titusville, NJ, United States) on 28 May 2018 in Lifestyle & Culture. Memorial Day is observed on the last Monday of May. It was formerly known as Decoration Day and commemorates all men and women who have died in military service . They deserve a memorial day. Joli mouvement dans le drapé et une texture sympa. Ah la bannière étoilée ... Tout un symbole ! Joli HDR ! 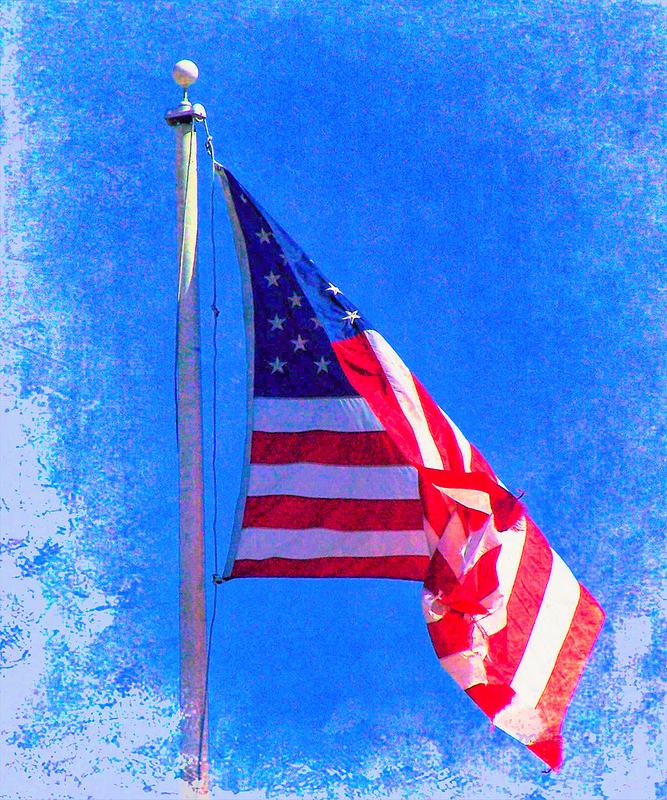 An important day, nice vignetting and framing of the flag. un super beau drapeau !!!!!!!! Tout beau chère Ruth, magnifique! Bise, bon lundi tout en douceur! A great picture for Memorial Day. Un grand jour de commémorations. A great tribute in all of Old Glory's color!! Une très belle initiative ce jour !!! I live in Calvados, not far from the landing beaches. A beautiful tribute to the fallen. My respects to your national day and to your fallen. War is such a sad waste of human life. It is too bad there seems to be no cure for it. Hope your Memorial was nice. Great photo ! This is a beautiful tribute Ruthie. I love the bright colors and the treatment.